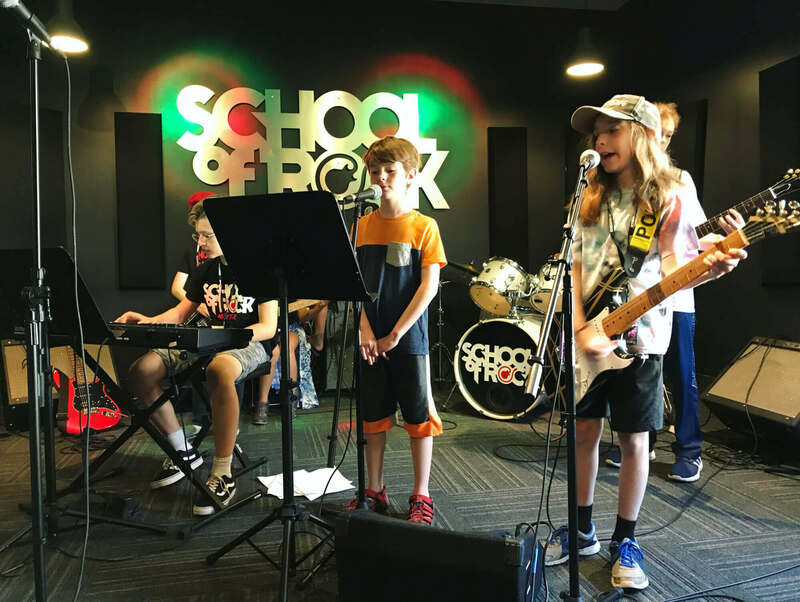 School of Rock Natick’s music teachers are experienced musicians devoted to helping students attain musical proficiency. 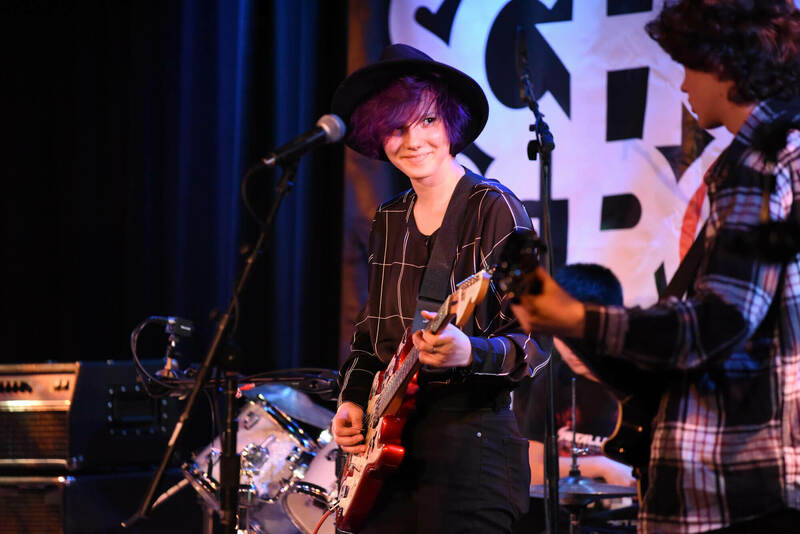 From singing to drums to guitar, our Natick music instructors inspire and teach students to perform live. 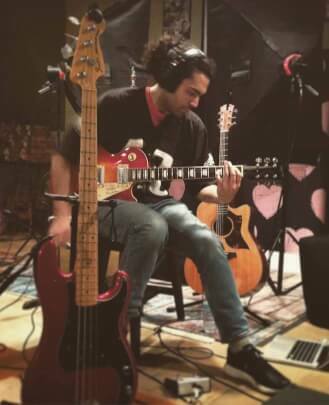 Aaron began playing bass at the age of 16, after seeing a need for it when most of his friends began picking up other instruments like guitar and drums. Soon after, he was playing with the youth praise band at his church, performing and rehearsing on a weekly basis. Aaron went on to attend Georgia State University where he received a Bachelors of Music with a concentration in Music Recording Technology. During his time at GSU, Aaron studied Jazz Bass as well as performing in a multitude of various ensembles spanning many different musical genres. After graduating, Aaron worked in several studios in the Atlanta area and has performed in various venues around the Southeast and Seattle. 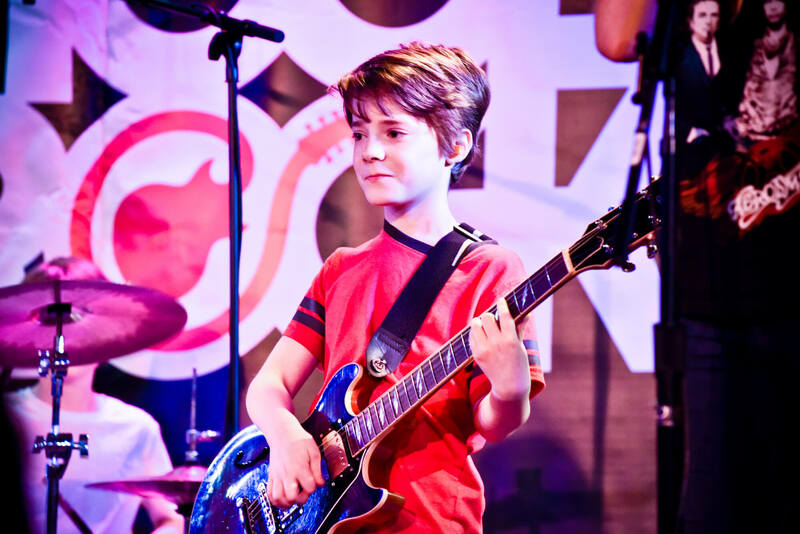 Over the years Aaron has been able to take up other instruments such as piano, guitar, and drums, to help him achieve his goal of always expanding his musical horizons. It is through his own love of learning that Aaron began to teach to pass on the incredible gift of music. He has also taught and show directed at the School of Rock in Atlanta, GA and Issaquah, WA. 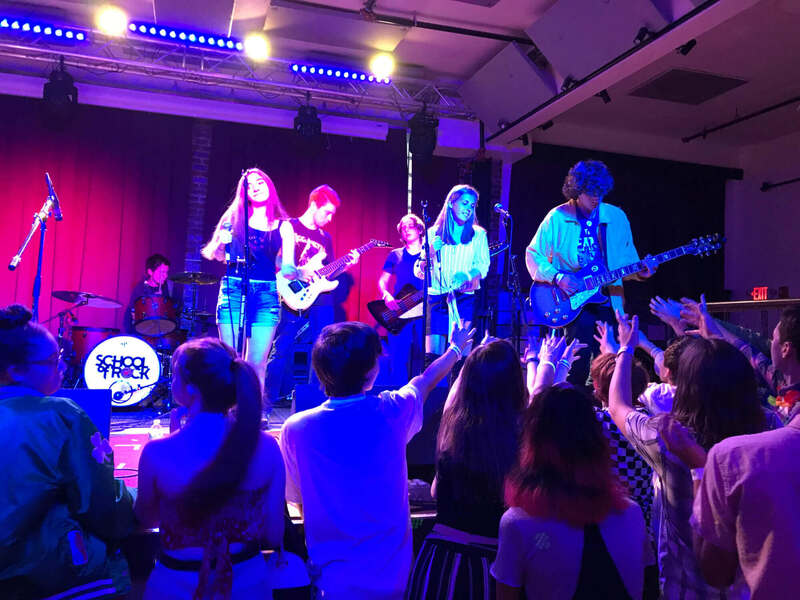 Aaron’s hope is in helping each student find their own creative musical voice, whichever direction that may lead, while also learning as much as he can from his experiences with each of them. Thanos developed a passion and need for music from an early age. He bought his first keyboard at the age of six and started writing, learning melodies by ear. He is still as passionate today as he was then. Born and raised in Greece, he was exposed to a colorful palette of music like Mozart, Bach, Beethoven, Miles Davis, Louis Armstrong as well as bands like Pink Floyd, Led Zeppelin, Deep Purple just to name a few. By the fifth grade he had picked up accordion and began studying classical music, and at the age of fourteen he joined a contemporary orchestra and chose percussion and drums as his principal instrument. While studying economics at University of Macedonia, Thanos was performing professionally as a drummer with rock and R&B artists across Greece. After graduating he joined the army and was selected as a percussionist for the military orchestra and marching band. After completing his time with the army Thanos was accepted into Berklee College of Music with an academic scholarship. While at Berklee, he majored in Performance, Music Production and Engineering, studying under performance greats Ralph Peterson Jr., Kenwood Dennard, Dave DiCenso and multi-Grammy award winner Prince Charles Alexander. He also worked with professors in numerous projects performing in school festivals and summer music labs, teaching tonal harmony and music production as well as producing music for artists at the Berklee studios. During his time in Boston he has performed in historical rock venues like the Irving Plaza, Gramercy Theater in New York City and Theater of the Living arts in Philadelphia to name a few. He toured along with legendary bands like the Dead Kennedys and G.B.H. Al Lombardi teaches keys and drums, and is also a very capable guitar and bass instructor, making him a valuable part of our school. Al grew up in New Jersey and started playing drums at the age of seven. Eventually he started joining bands with his friends and learning new instruments, which led him to move to Boston to attend, and graduate from, Berklee College of Music. Al has played in many different bands and draws inspiration from all kinds of music. He has performed for audiences up and down the northeast ranging from back yards, to rock venues, to concert halls, to stadiums. Having studied music education at Berklee, of course he also has a passion for teaching. Since graduating, he has been giving private lessons, and has also taught at multiple music camps. He’s excited to help students of all ages get off to a good start on their own personal musical journey! Originally learning guitar when he was 13, and later becoming a multi-instrumentalist and composer, Cooper has dedicated his life to writing, performing and living all that is music. 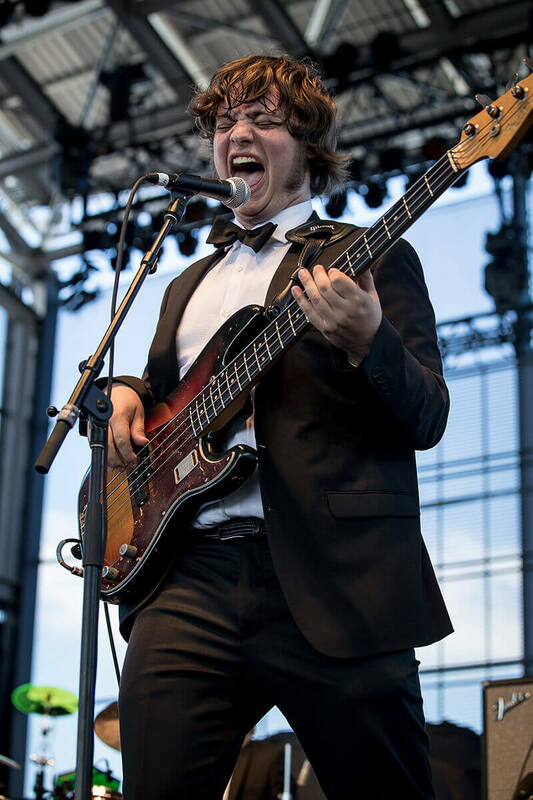 Through years of international touring, artist management, behind-the-scenes production and playing, Cooper's abilities have blossomed into who he is today. Specializing in writing music for films, he graduated from Berklee College of Music in 2015. Since then, Cooper has had his music used for both TV and film placements including spots for the History Channel, Army/National Guard and Montreal's Fantasia Film Festival. Julia Chisolm has been performing and singing from a very young age. Her interest in music began when she started to learn the violin, and she would soon also begin taking up the piano as well. As she grew up she took part in many musical theater groups, chorus ensembles and a cappella groups. On top of taking formal music lessons she learned a lot of her musical knowledge on her own. 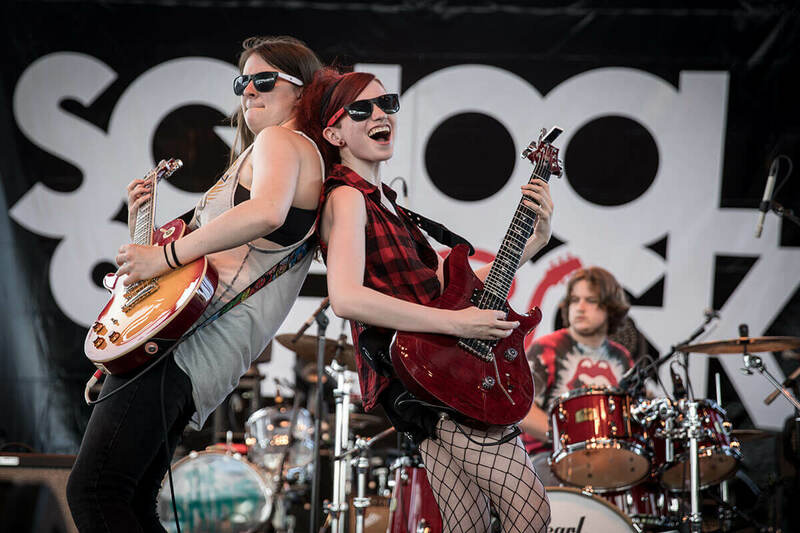 Julia took her first professional music gig right out of college working for Carnival Cruise Line as one of the lead singers in the ship's rock band. For two years she traveled the country singing and entertaining thousands of guests every week, learning by doing, becoming very comfortable on stage, and mastering the art of entertaining a crowd and fronting a band. She currently works for Howl at the Moon in Boston as one of the piano bar entertainers and multi-instrumentalists. She plays piano and sings the heck out of songs from all different genres of current and classic music. 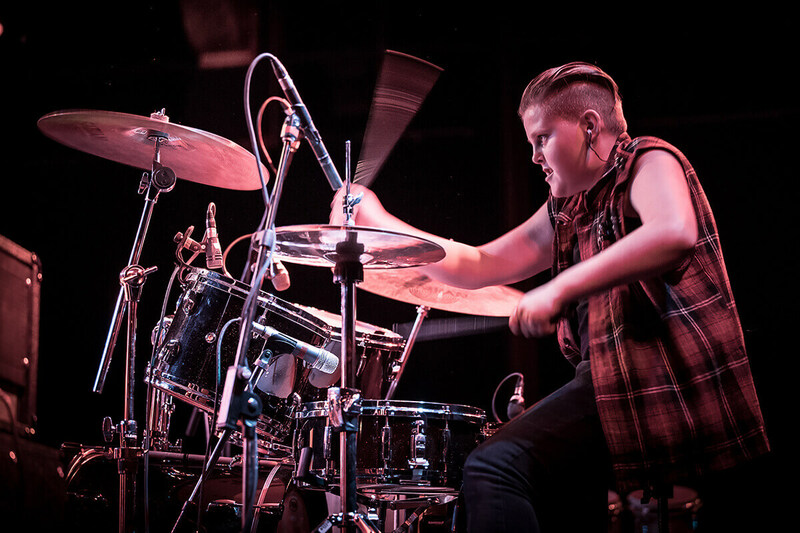 She has also been seen playing drums and bass, proving that she knows her way around just about any song. Her love for music is infectious, and it shows in her performances. Julia hopes to pass on that passion to others through teaching and performing music. 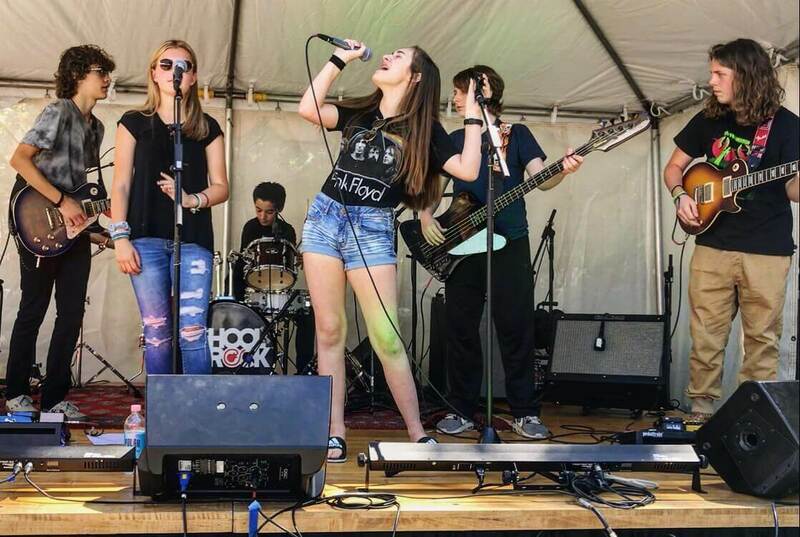 She is a vocal instructor at School of Rock Natick. 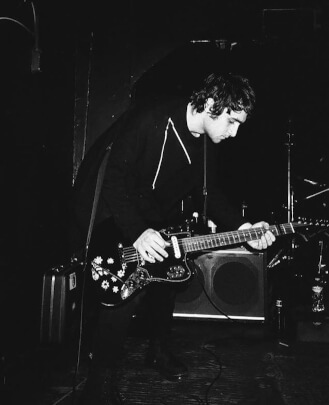 Alejandro, or Alex, picked up an electric guitar at age 12, having been enamored with 80s era MTV as a kid. Within months he was performing in local bands throughout central Pennsylvania with musicians many years his senior. By the mid-2000s Alex was recording albums and touring extensively with his 12-to-20 man band, Bang Camaro, with music and appearances in film, television and the widely popular "Guitar Hero II" and "Rock Band" game platforms. The band went on to appear at Lollapalooza, on "Late Night with Conan O’Brien" and on "Jimmy Kimmel Live." 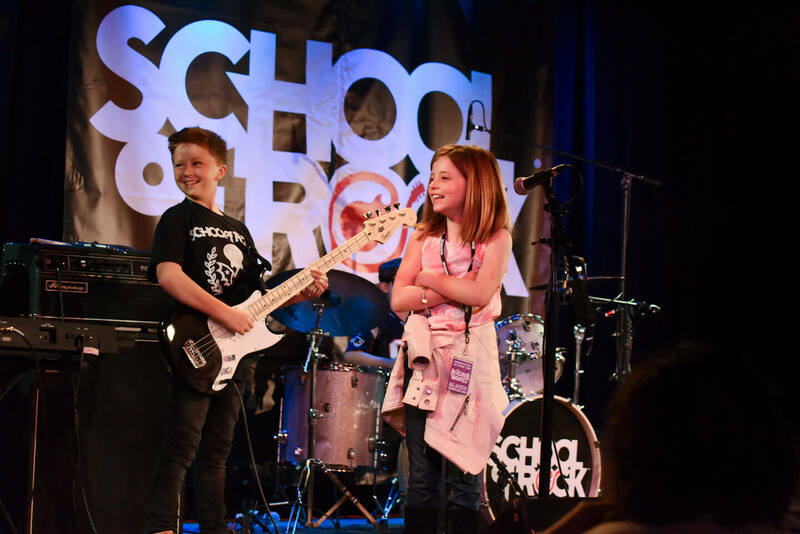 Between tours, Alex became a fixture at School of Rock in Watertown, where he mentored students of all ages and skill levels in both lessons and the rehearsal setting. 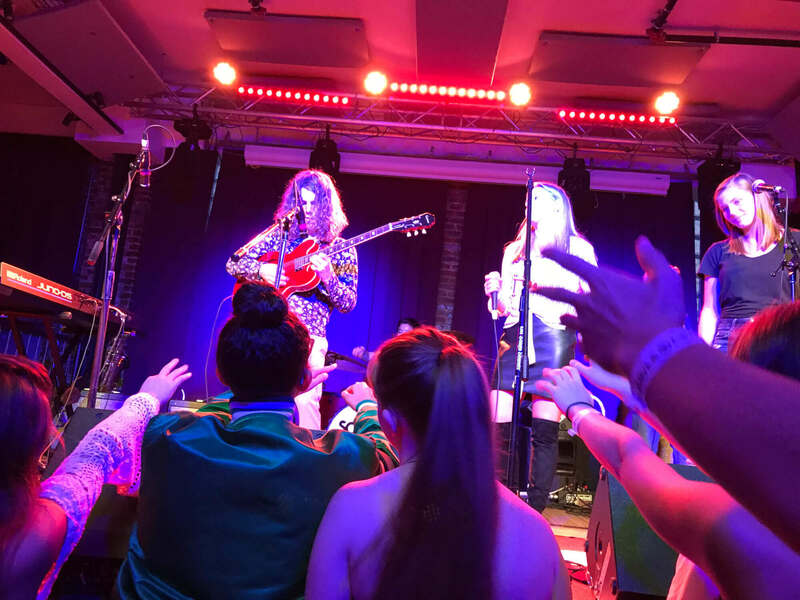 Recently, Alex continues to tour the world with Sarah Borges and The Broken Singles, The Andrea Gillis Band and his own heavy rock band, Worshipper. 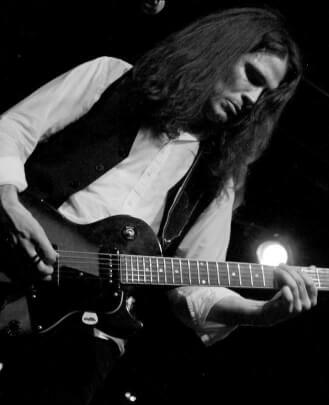 While performing is his passion Alex has years of teaching experience and is dedicated to cultivating the spirit and skill of rock ’n' roll in anyone that wants to learn. We couldn't be happier to have him on the team and to work with some of you. 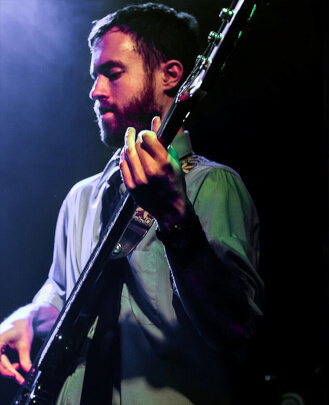 Colin Shore is a guitar player specializing in rock, funk and jazz fusion. Born and raised in Atlanta, Colin moved to Boston to attend Berklee College of Music. 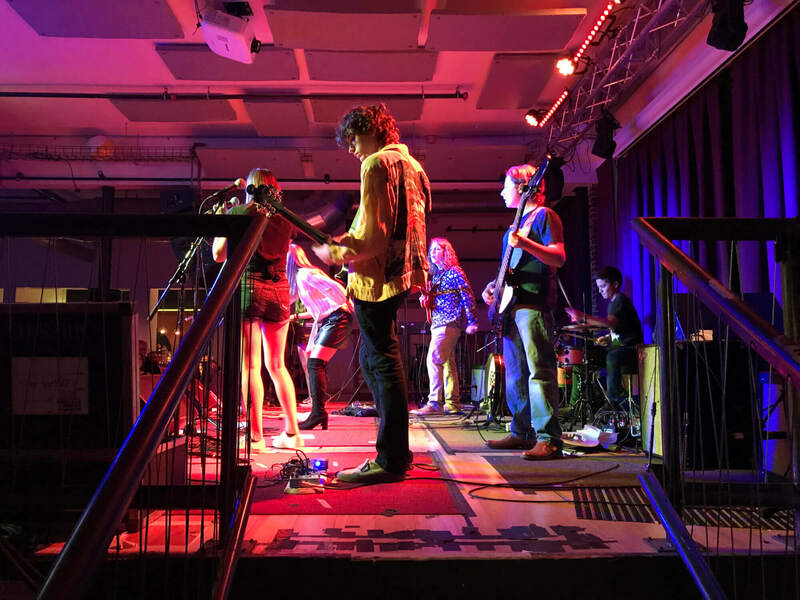 Since graduating, Colin has spent several years touring the country with his band Mister F, who played well over 100 shows per year. 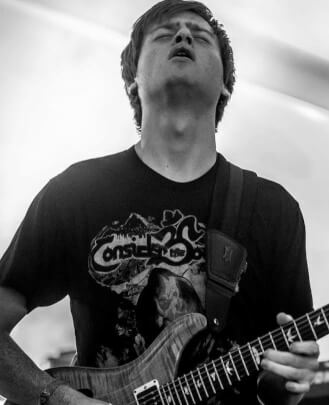 He has been invited to play with blues/soul icon Robert Randolph, smooth jazz artist Earl Klugh, bands such as Twiddle, Aqueous and Mungion, as well as members of bands including Dopapod and Kung Fu. Colin has been teaching for many years, and his teaching style is highly adaptive to each student’s individual tastes, skills and goals. 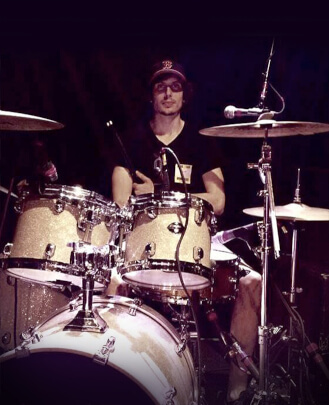 Davis Coleman began studying drums at age 11 and grew up as an artist in Los Angeles. He went on to study percussion at Berklee College of Music, where he graduated with honors, earning a degree in percussion performance and a minor in orchestral conducting. 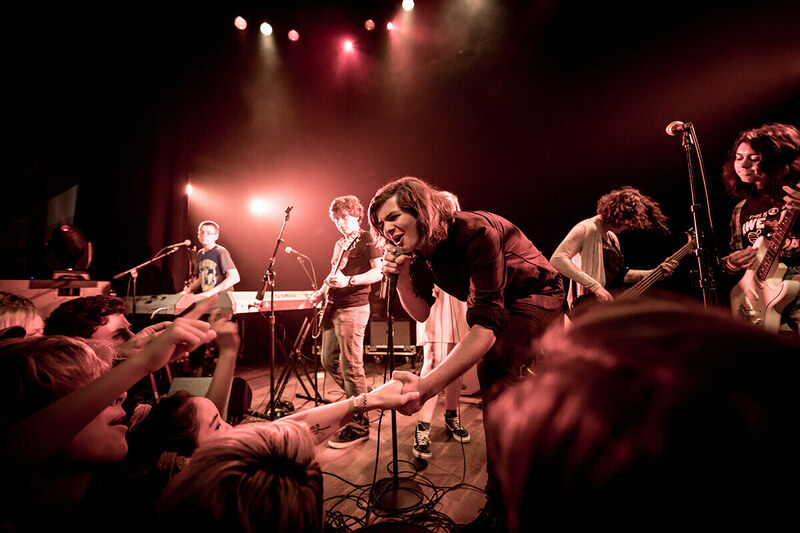 Davis has a unique and diverse skill set which finds him performing in a wide variety of venues with musicians coming from many different backgrounds. Davis can be seen playing in folk rock bands or musical theater pits one night, to orchestra stages and chamber music venues the next. 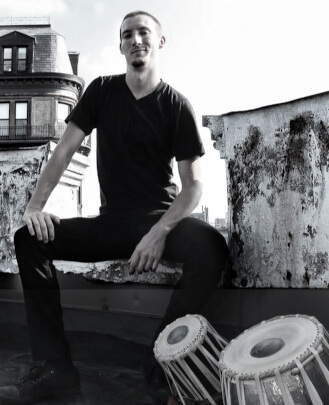 He has worked with groups such as the Boston Civic Symphony, Longwood Theater Company, The Concord Players, Ideas Not Theories, as well as his own groups In Ivy and Percussionisms. Davis is currently a staff member of the Burlington High School Marching Red Devils, as well as a musician for the Boston Ballet School. 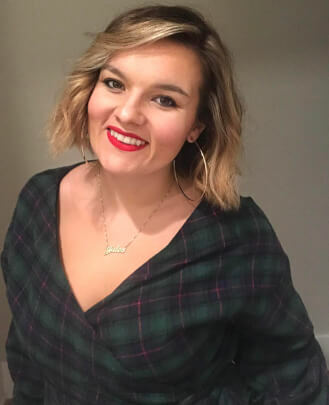 Davis has experience teaching students of all ages, in a variety of settings, and is always excited for the opportunity to help new students reach their goals. Sam received both his Bachelor of Music in Jazz Studies (with an emphasis in Vocal Performance) as well as his Master of Music in Contemporary Improvisation (with a Music-in-Education Concentration) from New England Conservatory of Music (NEC) in Boston. Sam won the competitive Spark Grant Award to launch his album, as well as NEC’s Entrepreneurial Musician Grant to direct, produce and star in a gender-blind production of Jason Robert Brown’s "The Last 5 Years," benefiting the local Boston nonprofit BAGLY to support LGBTQ+ youth. 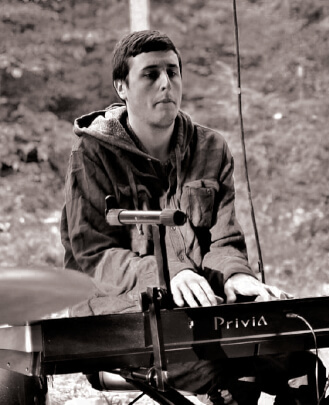 Sam has extensive teaching in classical, jazz, pop, songwriting and improvisation. He will be releasing his first EP of original music later in 2019. 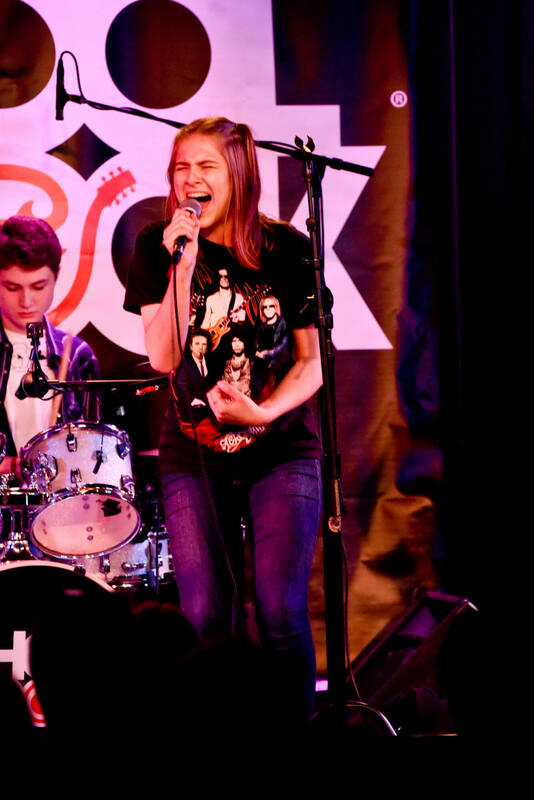 She is a vocal instructor at School of Rock Natick. 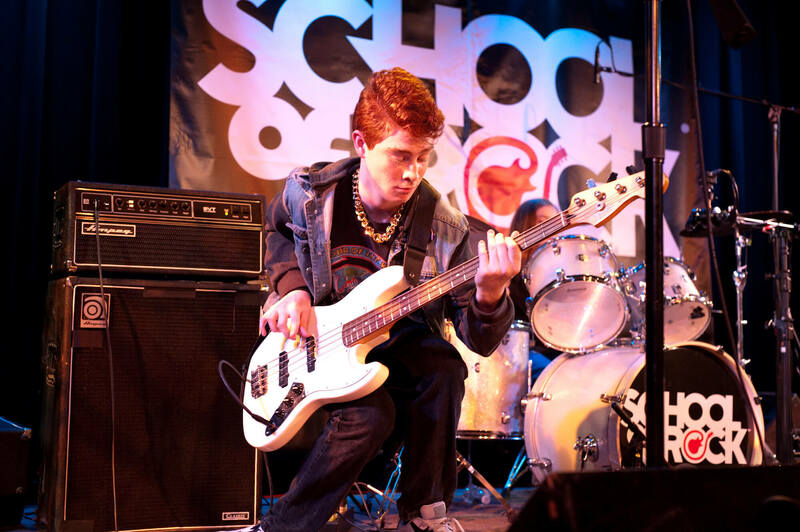 Joe recently moved to Boston from the Philadelphia area, where he was an instructor at School of Rock Cherry Hill in NJ. Growing up, he received classical training on violin, viola and music theory, eventually switching his focus to guitar, singing, songwriting and composition. During his time in Philadelphia he played in several bands, including Victoria Watts, Amsterdam, 88mph and Jackson Moe. Joe records original music as a solo artist and has composed music for productions at Good Good Comedy Theater in Philadelphia. 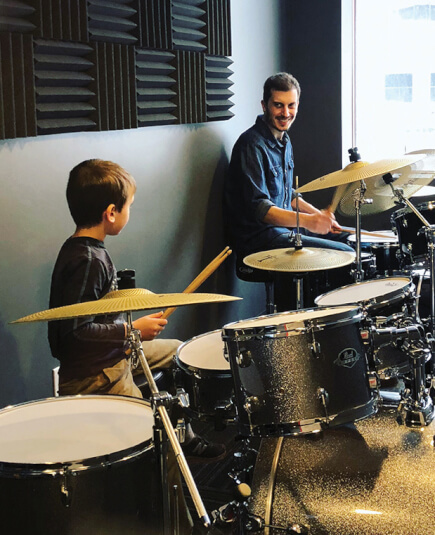 Joe is committed to giving students a well-rounded knowledge of music, so that in addition to knowing what to play, they will always know why to play it. 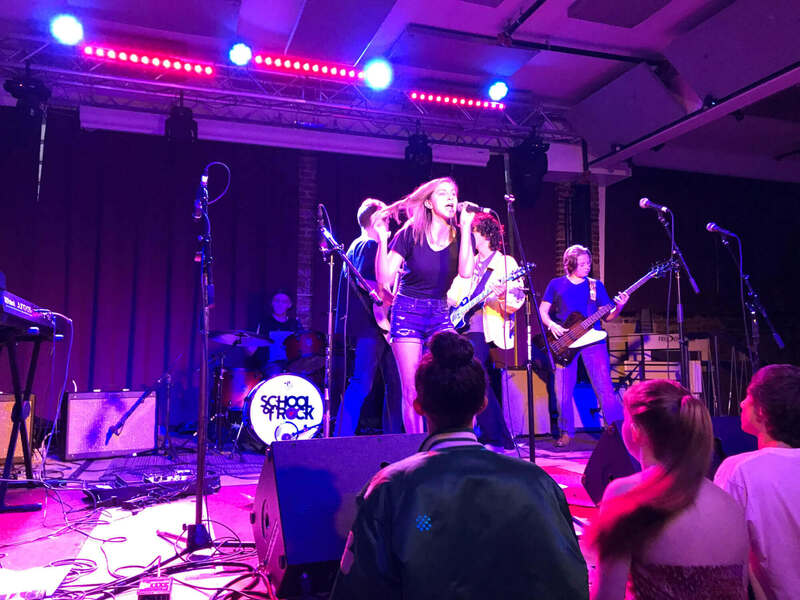 He believes a quality music education requires an appreciation of all kinds of music and is excited to share his eclectic musical point of view. In addition to teaching and gigging, he is currently pursuing a General Music Studies Certificate from Berklee College of Music, studying keyboard, composition, recording and music business. 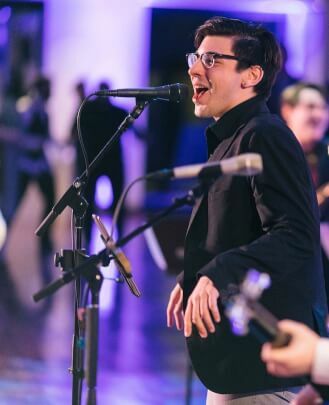 Nicholas Preziosi is a soon-to-be dual degree graduate from Berklee College of Music in Music Education and Songwriting (with a minor in Musical Theater Writing). He started studying vocal performance in his pre-collegiate years, and has continued exploring vocal styles including classical, musical theater, rock, pop, jazz and punk rock. Nick has performed classically in performance venues, including Berklee Performance Center ("Sweeney Todd," "West Side Story") and Symphony Hall (MMEA All State Chorus 2013, "Final Fantasy" Tour 2015, "Lord of the Rings" In Concert in 2016). He has performed musical theater with several Boston area stage companies. Nick has most recently left his regular performance position as a piano bar entertainer at Howl at the Moon Piano Bar and Night Club, where he sang vocal stylings that included Queen, Adam Lambert, Shawn Mendez, Frankie Valli, Green Day and Panic at the Disco. As a high range singer, his primary focus is to expand vocals beyond the point of expectation while maintaining endurance and vocal health. 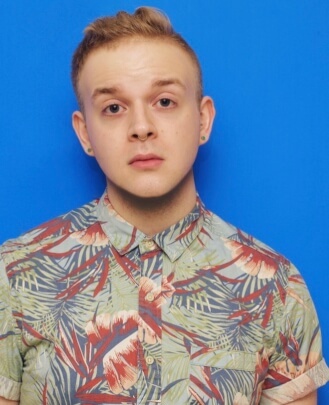 As a songwriting major, Nick also composes a pop and rock repertoire primarily for musical theater. He is currently writing a show with a Berklee professor, and writing a separate pop-rock show with a co-writer from Nashville. 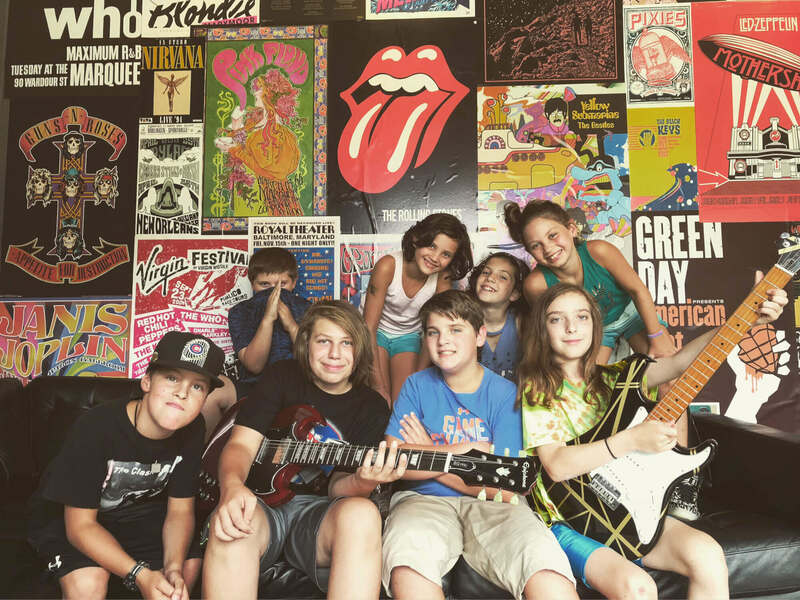 He is a vocal instructor at School of Rock Natick. Ronan in our Eighties Rock Season Show. Levi and Amanda, a couple of our Rock 101 students, in our first-ever Season Show. Aria and Carter playing Michael Jackson's "Beat It" during our Eighties 80s Season Show. Colleen performs "Just a Girl" in the I Love the 90's Season Show. Luke, Ryne, Parth and Larken performing "TNT." Nick performing at our Spring 2018 Season Show. Our Songwriting and Recording Camp in action. 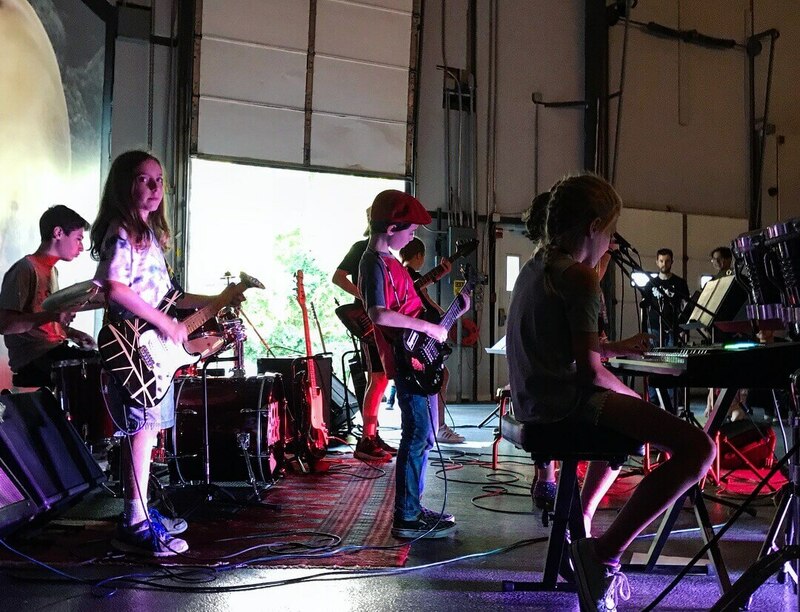 Our Classic Rock Camp in action. Our British Invasion Camp poses together. 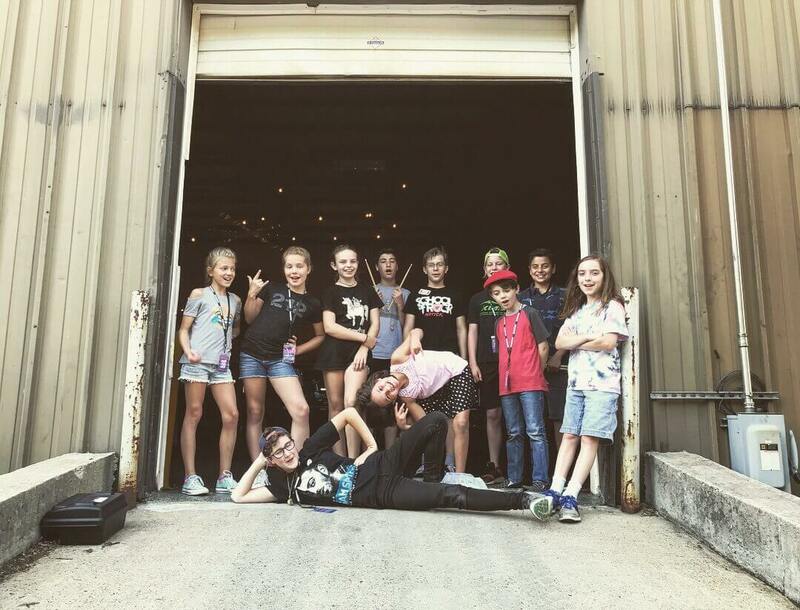 Our British Invasion Camp performs at Exhibit 'A' Brewing Company. 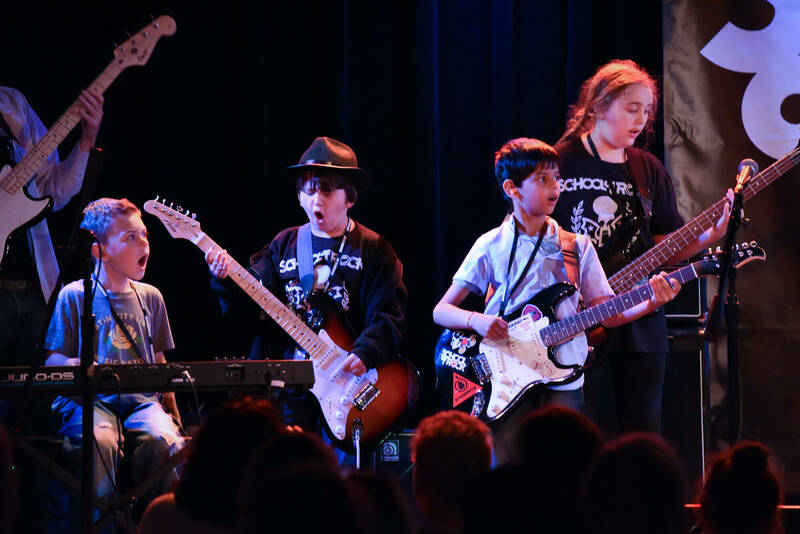 Our House Band performs with the 2018 AllStars Tour at Sonia in Cambridge. 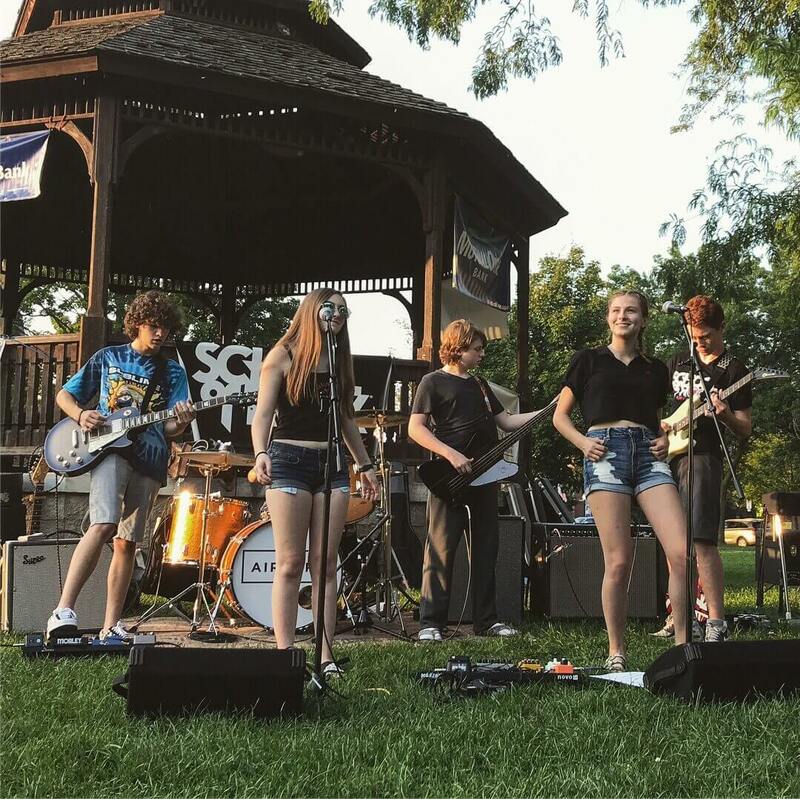 Our House Band performs at a local music festival, Demo Tape Fest. Our House Band performing on the Natick Common for the Natick Summer Concert Series.